Everything at Sugarloaf is done by volunteers. Without our volunteers we certainly wouldn’t be able to run our group. We really value their dedication and commitment : some of our volunteers have been with us for over 20 years. The more volunteers we have the more lives we can improve. That’s why we always welcome new volunteers. If you’re interested, why not come down to meet us and see what we do ? Volunteers give as much times as they want. 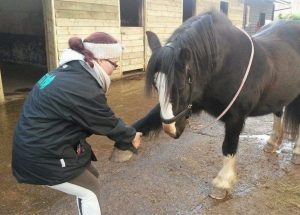 You don’t necessarily have to have any horse experience, as you complete the National RDA Basic training and once completed you receive a certificate – and are all DBS checked which is paid for by the group. Maybe you don’t wish to help with the horsey side with the group, there are other jobs which are needed to be done within the group; being part of the committee or trustees, IT skills, administration skills, fundraising, or maybe just helping with repairs in your spare time or poo picking in the field (not the greatest job, but has to be done). 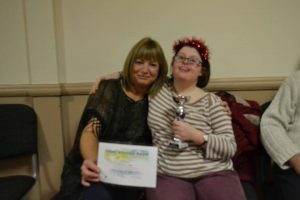 Volunteers may also undertake additional courses such as first aid and training days arranged through other groups, each receiving a certificate for attending. All our volunteers are from diverse backgrounds ageing from 12 years upwards. 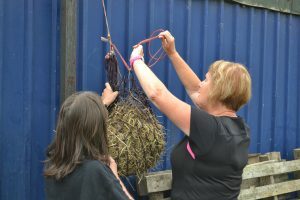 Some volunteers have been out of work for a number of years, for whatever reason, and need to build up the skills of working in a group before venturing out. 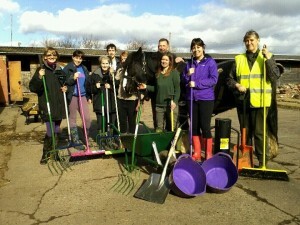 Volunteering helps to, with building up social skills and team work and organisation. Volunteering looks good on you CV too when applying for paid work, which many of our volunteers have gone into. A number of our younger volunteers come in school holidays and at weekends. Many have came and gone onto do their Duke of Edinburgh awards working with us. Some have achieved the YELA Award too http://YELA.org. 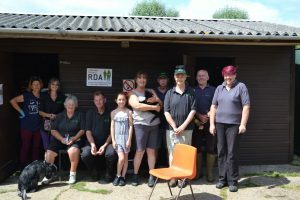 There are plenty of opportunities within RDA to progress and use your skills – plus it looks excellent on your CV.